As my boys get older, I love discovering new activities to engage them around the holidays. This past Christmas we started a new tradition with A Bag Named GIVE from Play.Create.Grow. – a neat company that offers products that teach children in a way that’s fun and exciting. With Easter coming up quick, I’m glad to start another new holiday tradition with my boys from Play.Create.Grow. with a neat book about Easter Eve and a gnome painting kit to go along with the story. Play.Create.Grow. 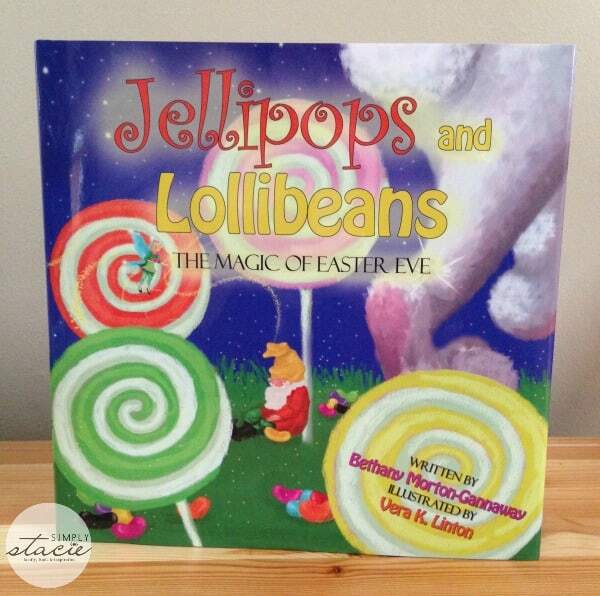 sent us a fun book called “Jellipops and Lollibeans, the Magic of Easter Eve” that brings to life the story of gnomes that guard jellybean seeds that sprout into lollipops on Easter morning. The book is beautifully illustrated, and easy to follow along for all ages (my three year old was as enthralled with the story as my six year old). My boys are now very excited about the thought of garden gnomes coming along on Easter! This is a nice book to read as the Easter season approaches, and adds a little more magic to the holiday for young kids. This hardcover book sells for $21.99 on the Play.Create.Grow. site. To go along with the Easter book, each of my boys received their own Jellipops and Lollibeans Gnome Kit that really makes the story in the book come alive. 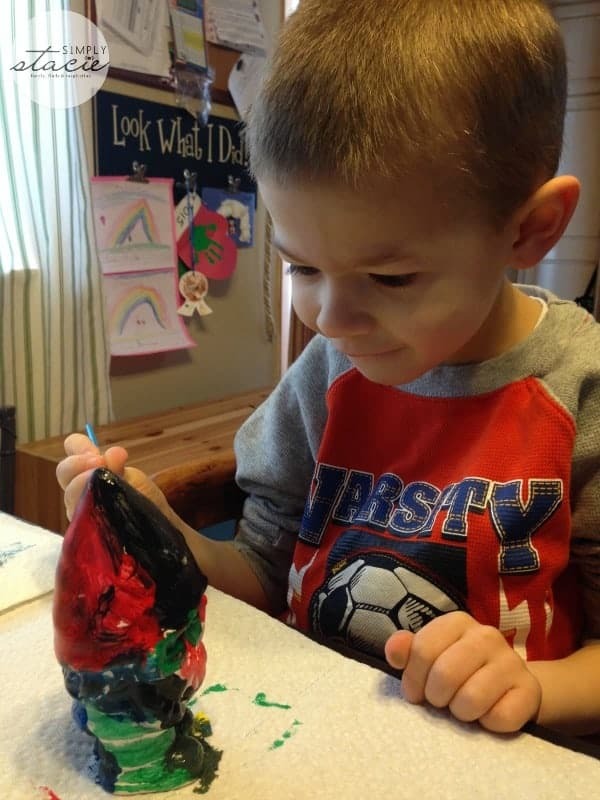 This kit includes a ceramic gnome, paints, a paint brush, and “magic dust” (glitter). 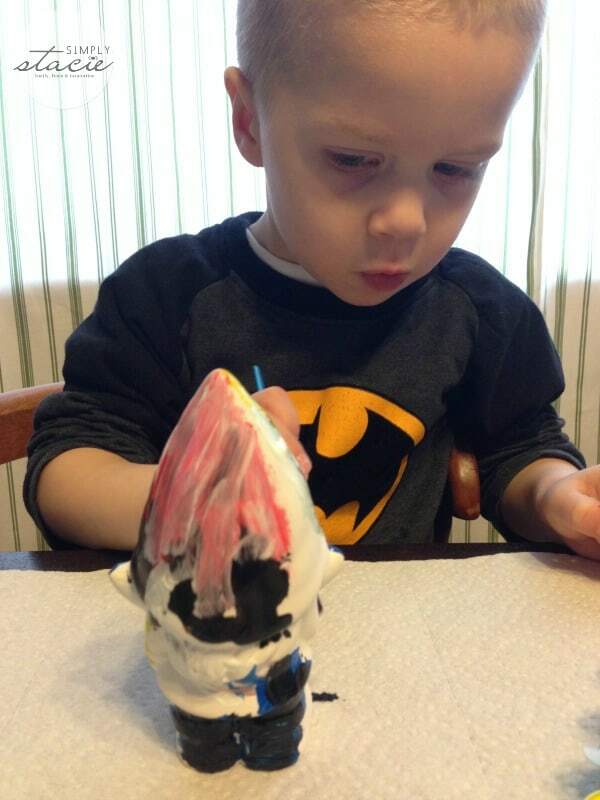 My boys had a blast painting their gnomes and sprinkling them with the magic that will make them come alive on Easter Eve (we made sure to save some of the magic dust for sprinkling on our garden). The gnome is a great size for little hands. We can’t wait for all this NY snow to melt so that we can put them out in our garden. The book and the gnome painting kit have been a great way to spend some nice quality time together on these cold winter days – we have had fun dreaming of spring and warmer days to come! 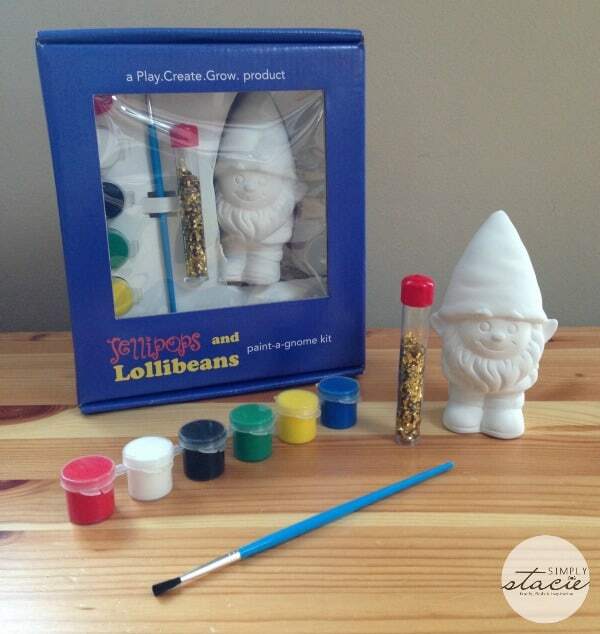 The gnome painting kit sells for $15 on the Play.Create.Grow. site and really is a fun tie-in with the book. Play.Create.Grow. designs and produces children’s books and play kits that inspire creativity and encourage children to use their imaginations to dream big. Their products would make for unique and fun gifts for the children in your life for holidays, birthdays, or any other special occasion. To see all that Play.Create.Grow. has to offer, check out their website. Ladybugs and Bumblebees looks adorable. I also like the Bug Soup Chef Kit. Awesome products. I love and I am sure my granddaughter would love the Bug Soup Chef Kit. I like the Fairy Dream Catcher. These are so cute. I like the Magical Memories kit. I would get the Ladybugs and Bumblebees birthday adventure kit. A Bag Named Give is my item of choice! I like Ladybugs and Bumblebees: A Magical Birthday Adventure. Buzzin for Bugs is fun. I like the Air tractor 502 plane. I like the Message in a Bottle Necklace set. I absolutely love the Fairy Dream Catcher. Air Tractor 502 Model Plane!!! I love the Fairy Dream Catcher. So whimsical.